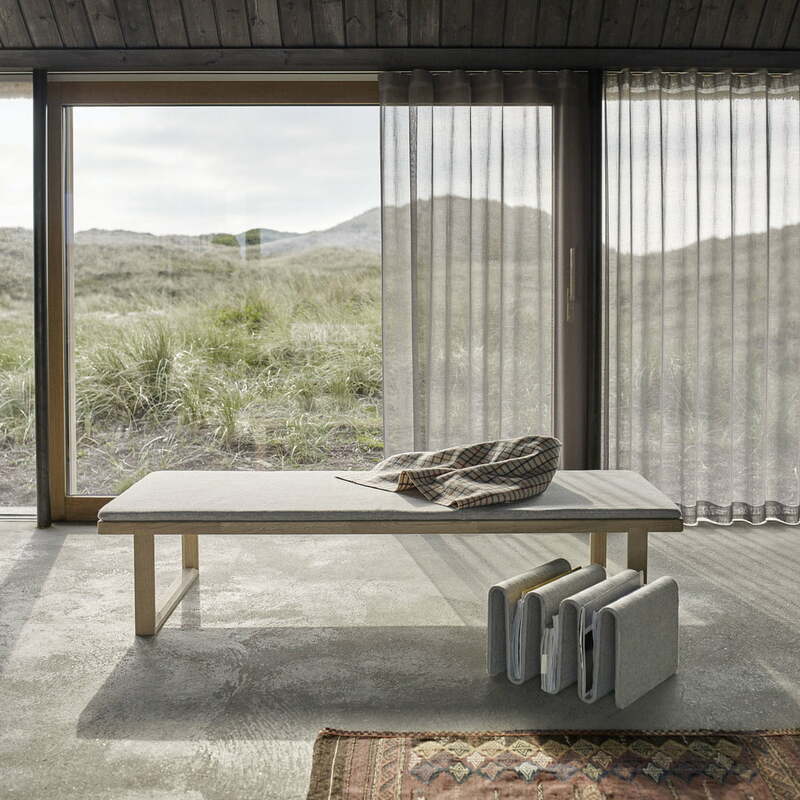 The Skagerak Pulse Daybed by NoiDoi is a beautiful and practical day bed with a built-in magazine holder, which immediately ensures tidiness and always keeps the favourite book close at hand. The bed is manufactured from solid oak wood and is complemented by a mattress with wool cover, providing additional comfort. 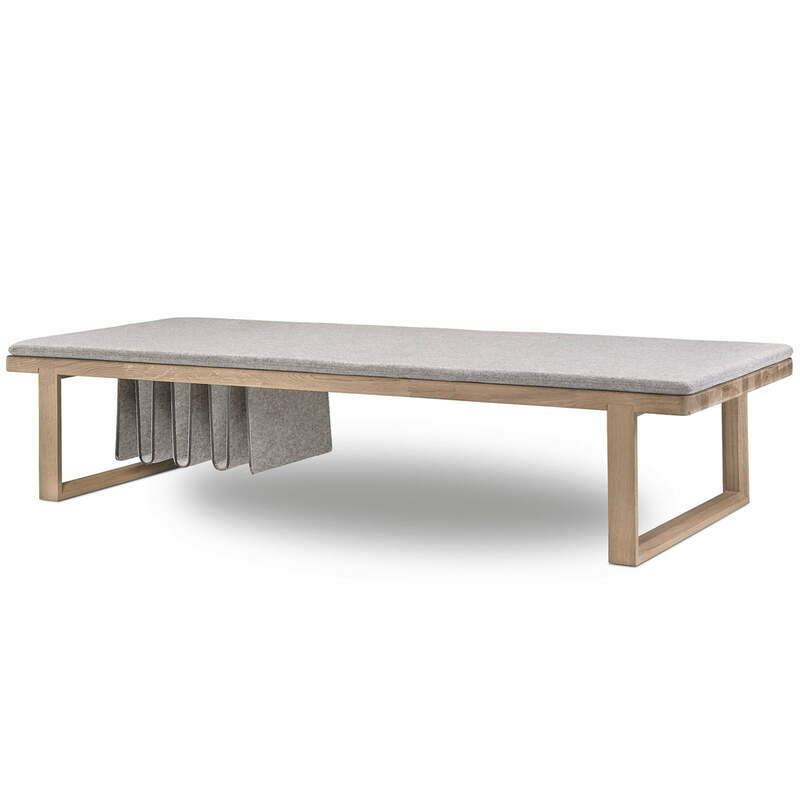 With its discreet design and the selection of high-quality materials, the daybed is a welcome guest in the living room, where it can be used as a sofa-alternative as well as bench, ensuring for some relaxed hours. The extra magazine rack made of felt, which can be covered if necessary, makes the Skagerak Daybed a cosy lounge furniture with Scandinavian charm. Details Pulse Magazine is included in the delivery. 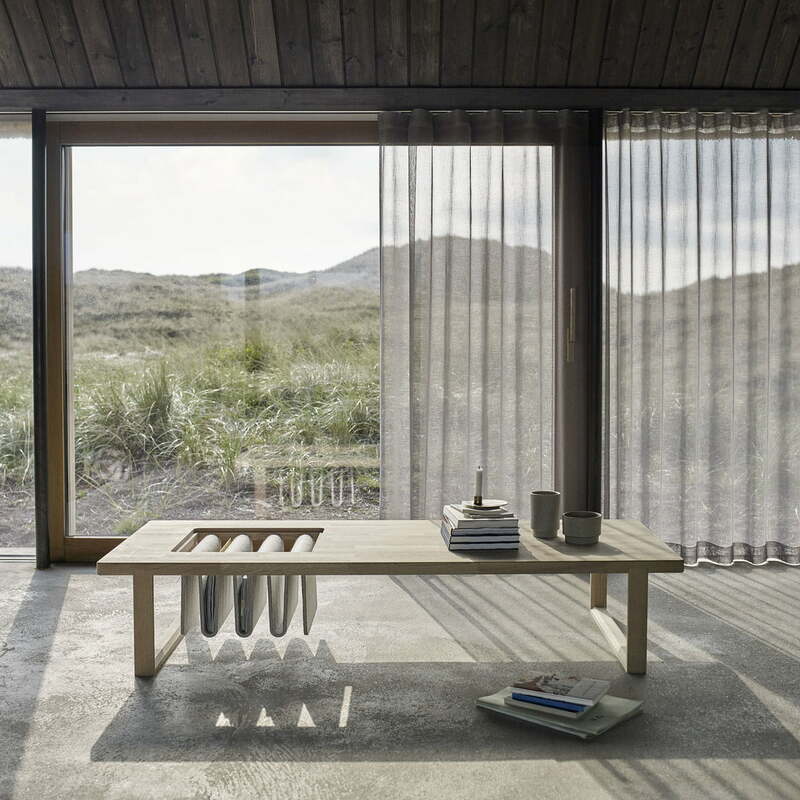 Single image of the Pulse Daybed by Skagerak. 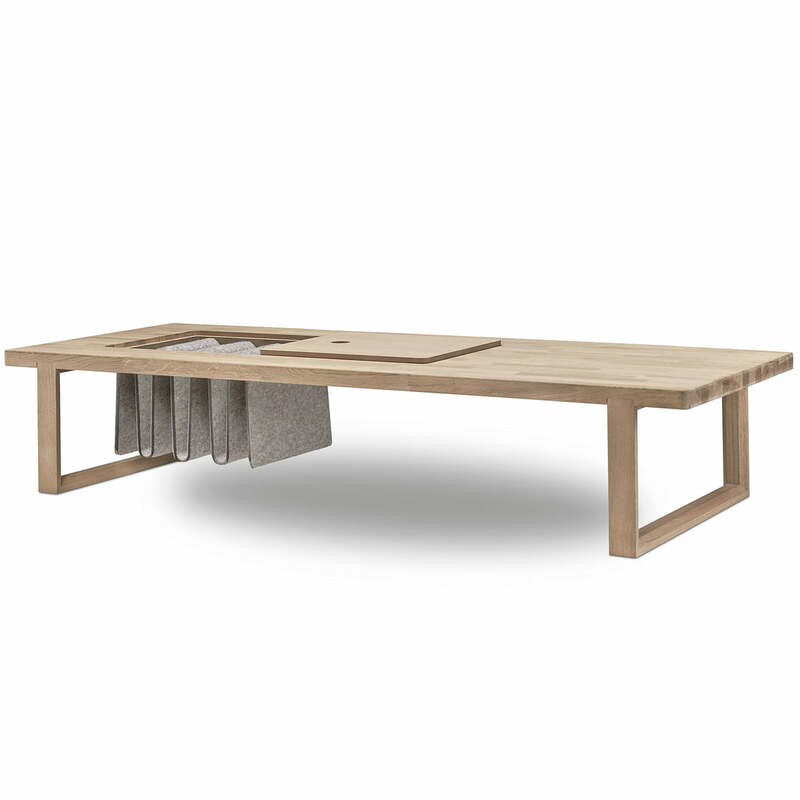 The day bed is made of oak wood and the wool upholstery as well as the magazine holder are included in the delivery. The Pulse Magazine Holder by NoiDoi for Skagerak can either stand on its own or can be integrated into the ready-made holder of the shapely Pulse Daybed. The extra felt magazine rack, which can be covered if necessary, is a fantastic addition to the Pulse Daybed. Nevertheless, the Pulse Magazine Holder can also stand on its own. 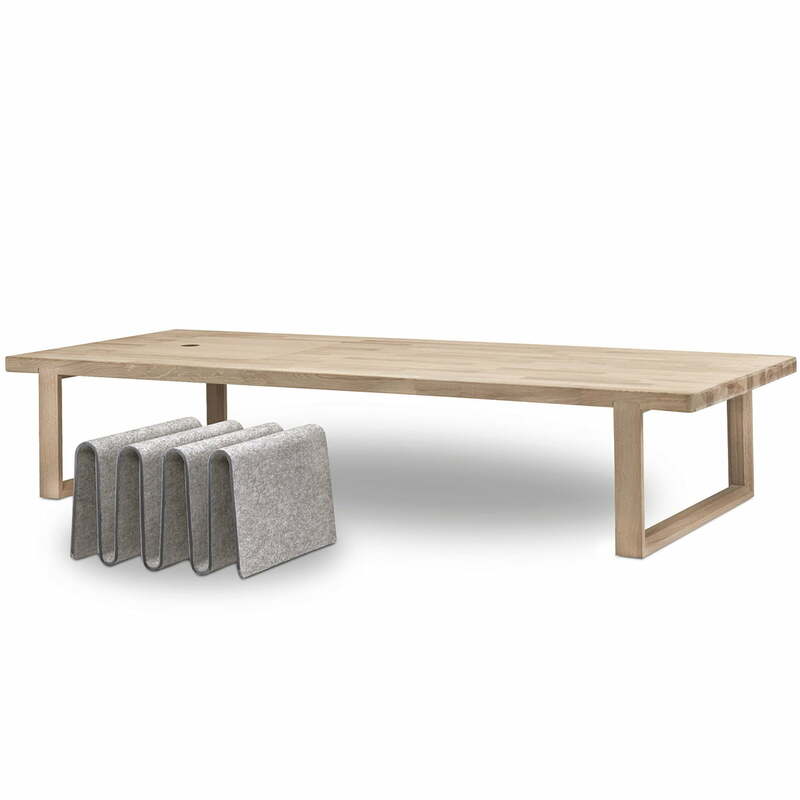 The Pulse Daybed by Skagerak is made of solid oak wood and is supplemented by a mattress with wool cover and a magazine holder made of felt, providing additional comfort and storage space.